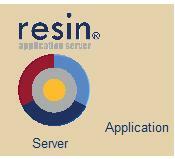 Resin is a single integrated and well tested package. Resin provides Servlet, JSP, JSF, JSTL, EJB Lite, transaction management, messaging, remote services, distributed sessions, SSL, a complete logging solution, PHP, a fast and fully capable HTTP server, and load balancing. Resin users can be confident that the monitoring, administration, deployment, scalability, and troubleshooting features are available when your site goes live. Java Contexts and Dependency Injection. Organize development teams and application with service-oriented design using Java CanDI and OSGi standards. Enhance user experience and draw more traffic to your website with a fast, easy to maintain and highly responsive site backed by Java standards. Get ready for the next generation of interactive & cloud computing technology. BAM's lightweight messaging design is ideal for chat, games, mobile phone and web applications requiring high-speed communications. 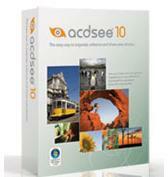 Supplement a business-oriented Java framework with light, agile PHP code. Quercus is a fast and open-source PHP implementation written in Java that offer full PHP compatibility and easy Java integration.